InsurCard is a wholly owned subsidiary of Service Network Design, LLC. The InsurCard Prepaid Card programs were specifically designed to meet the stringent requirements of both the insurance and prepaid card industries. InsurCard is led by executives who are specialists in insurance operations and systems. All InsurCard products are designed to meet the stringent requirements of the insurance industry. For more information about all InsurCard programs including the reloadable InsurCard Prepaid Card for Workers Compensation Payments, the InsurCard Prepaid Card for Property Payments including Instant Issue products and the InsurCard Virtual Card for Provider Payments, visit: www.InsurCard.com. InsurCard is a registered trademark of Service Network Design, LLC. Debit card users say that controlling spending is the key reason to use the debit card. Over 30 years as an insurance operations executive and management consultant. Bob is the founder of InsurCard. Bob’s early career was as Operations Officer for CIGNA International Claims and Zone Operations Officer responsible for nine CIGNA field offices. Then, in 1997, Bob founded Service Network Design LLC, a consultancy specializing in insurance operations and service centers. As a management consultant, Bob led the restructuring of Claims operations at CIGNA, Prudential, OneBeacon, and NJM. Bob managed the offshore outsourcing of Prudential’s claims operations to Ireland. Bob also managed the installation of re-loadable debit cards for a major credit card company. The concepts behind InsurCard grew out of Bob’s work in the debit card industry. Over 30 years as an insurance IT executive and management consultant. Roy has been with InsurCard since its inception in 2007. He had been working at Service Network Design LLC since 2003. Previously, Roy had been Vice President of Information Systems at Prudential. He has over 30 years of experience in Life and P&C insurance companies both as an executive and as a management consultant. Roy has worked with CIGNA, Connecticut Mutual, Mass Mutual, One Beacon, and several major insurance agencies and brokers. Richard joined InsurCard in 2009 to lead our sales and marketing efforts. Previously he had been President of Meek Business Solutions, Inc., a provider of financial solutions to the insurance industry and to self-insured companies to streamline their operations by significantly lowering processing costs. Prior to MBS, Richard was managing principal of a sales and marketing agency. Claire has more than 20 years’ of experience in financial services including business development while at Primerica and communications and program management office (PMO) implementation while at Fannie Mae. Most recently, she was a principal in a digital marketing company which provides a full-range of online marketing services. Claire joined InsurCard at the beginning of 2015. Galileo provides the processing power behind the InsurCard Plastic Debit Card programs. 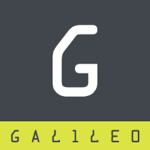 Founded in 2000, Galileo has grown to become one of the largest payment processors and program managers in North America. Its card processing technology platform leads the industry with superior fraud detection, security, decision-making analytics and regulatory compliance functionality. Galileo is a direct processor with Mastercard, is Mastercard Network Certified, and is PCI and SAS 70 compliant. VPay is a leading provider of technology solutions to the health, property and casualty, and workers’ compensation insurance industries. VPay has extensive experience in the design and development of enterprise-wide insurance industry applications. Specialties include: Life, Health and Casualty system products. It simplifies payment delivery through innovative solutions that provide security, reliability and scalability. VPay currently processes virtual card payments to over 450,000 medical providers. Mastercard is leading the way with payment products and solutions that provide issuers, merchants and corporations with better choices and channels to grow businesses. 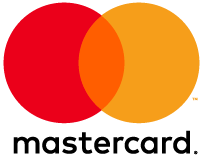 For more than 40 years, Mastercard has been advancing the way consumer and business cardholders around the world shop, dine, travel and manage their money, enabling transactions that drive global commerce and improve peoples’ lives. Mastercard payment and solutions offer comprehensive card programs that feature state-of-the-art security and convenience. Our wide variety of customized card types include credit, debit, prepaid. commercial, chip and contactless. With innovative loyalty and reward solutions and comprehensive cardholder benefits and services, Mastercard card products provide financial institutions, merchants, and businesses with inventive ways to decrease costs and increase customer satisfaction. Herring Bank originated in Vernon, Texas in 1899. The bank provides a full range of commercial and consumer banking products, as well as investment and trust services. While the bank is primarily owned by the family of it’s founder, Col. C.T. Herring, the bank has directors and owners in communities that it serves. Through local leadership and ownership, Herring Bank has created a legacy of helping customers with their financial needs for some 110 years. Arlington Associates, Inc. (AAI) is a brokerage and consulting company specializing in premium managed health care software and services. AAI clients receive dynamic strategic and sales support for a broad array of group health, workers’ compensation, and auto insurance services and software. AAI provides outside resources for organizations looking to supplement their internal capabilities. AAI’s history of proven and timely results is what drives their success, especially in challenging markets and uncertain economic times. AAI is focused with the experience and commitment to get the job done right. Berwin Group North America, Ltd is an independent, international consulting firm specializing in assisting insurance and reinsurance companies with internal transitional issues. Over the course of the last eleven years, Berwin Group has designed customized methodologies allowing companies to streamline their operations and reduce operating costs. Berwin Group North America Ltd.
Mutual Service Office (MSO) was incorporated in 1944 by a group of New Jersey mutual insurers. Today MSO serves both mutual and stock companies in the northeastern United States. But MSO’s goal remains the same – to provide small to mid-sized insurers with an easier, more profitable way to underwrite risks. The key is schedule rating. By devising specific rates on all buildings, regardless of size, MSO member companies benefit from rates that more accurately reflect the individual circumstances of the commercial risk they often write. MSO has proven over the years to be a welcomed alternative to the rigidly-defined rating classes used throughout the industry. With MSO, companies, agents, and policyholders all benefit from better rates for better risks. MSO provides custom rate and statistical services on all property and casualty lines except personal auto and boiler/machinery. All MSO’s products and services are designed to be easy to use. Whether it’s custom forms and manuals or streamlined coding requirements, MSO strives to simplify every aspect of underwriting a risk. MSO’s success in providing useful market-oriented systems is the result of a carefully assembled team of insurance professionals. Experts from all disciplines are just a fax or phone call away to discuss problems, concerns and suggestions. Not only do MSO member companies have direct access to decision makers in specific areas such as insurance filings, data processing, statistical analysis, actuarial services and product development, members also have a direct line to top MSO executives. Customer feedback is a key component in keeping MSO products and services up to date and effective. Whether revising an existing product or service, or introducing a new one, MSO consults users at every stage of development. This ensures MSO products and services reflect current market trends, as well as the industry’s changing regulatory and legislative environment. For more than a century, NAMIC has made a significant and lasting impact on the property/casualty insurance industry. NAMIC’s foundation is built upon its diversity in membership and grassroots strength. Companies range in size from one person operating a small farm mutual company offering property insurance for wind and fire exposures to some of the world’s largest insurers providing comprehensive commercial and personal lines coverages. NAMIC benefits member companies through government relations, public affairs, education, arbitration services and insurance programs. Membership in NAMIC is not restricted to mutual insurance companies. Stock insurance companies, reinsurance companies and industry vendor companies may also apply to become members of the association and enjoy the benefits membership can bring. NAMIC is the largest and most diverse national property/casualty insurance trade and political advocacy association in the United States. Its 1,400 member companies write all lines of property/casualty insurance business and include small, single-state, regional, and national carriers accounting for 50 percent of the automobile/ homeowners market and 31 percent of the business insurance market. NAMIC has been advocating for a strong and vibrant insurance industry since its inception in 1895. NAMIC benefits member companies through advocacy, public policy and member services. InsurCard electronic claims payment solutions benefit every party involved in a Property/Casualty claim. From Workers Compensation to Homeowners, Automobile, Liability, and Catastrophe claims, InsurCard has a program customized to meet your needs.